Grad student Will Dillard has largely buried memories of the summer he spent at a camp intended to “cure” homosexuality. But when he finds out a horror movie based on the camp is hitting theaters, he’s forced to face his past—and his role in another camper’s death. As he recounts the events surrounding his “failed rehabilitation,” Will strikes out on an impromptu road trip back home to Mississippi, eventually returning to the abandoned campgrounds to solve the mysteries of that pivotal summer. With a masterful confluence of sensibility and place, How to Survive a Summer introduces an exciting new literary voice from the American South. I don’t read a lot of literary fiction. I tend to stick to romance, having eclectic tastes when it comes to the many romance sub-genres. However, one of my co-reviewers on the blog asked me to request How to Survive a Summer via NetGalley and I was in the mood for something different over the Memorial Day weekend, so I queued it up on my Kindle and dove right in. Suffice it to say, I’m glad I did because I was enthralled with the poignant story that White has penned. 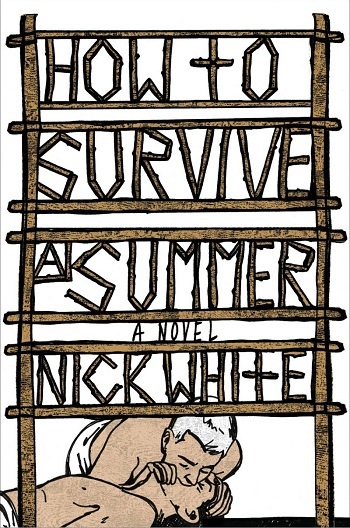 While How to Survive a Summer is fiction, White’s writing style reminds me of the autobiographies I read during my sociology and criminal justice courses in college. The book is written from Will’s point of view and the manner in which he moves from the present to the past and back again, the way flashbacks and memories are integrated in the story, it gives the book such an autobiographical feel that I had to remind myself more than once that it was indeed fiction. I found myself caught up in Will’s anxiety when confronted by ghosts from his past, his awkwardness as he attempts to embark upon a new relationship, and the rollercoaster ride of emotions he experienced as he returns to Mississippi to lay his ghosts to rest once and for all, only to discover that not all of them were willing to be buried… or should be. Despite being a fan of romance, the relationship that Will and Zeus begin to develop was probably my least favorite part of the story. I actually tended to read and dump those scenes as they didn’t feel crucial to Will’s current journey. So much so that when my co-reviewer pointed out details about Zeus’s transgender status that seemed implausible, I actually had no recollection of them and upon re-reading those scenes, I had to agree with her that they didn’t match what I knew of transgender individuals and their sexuality – while I don’t pretend to be an expert, it may be a sticking point for some readers. Ultimately, I was too caught up in Will’s tale of how he survived that traumatic summer of his teens, how it impacted his life, the journey he took to reconcile his memories, what he learned about himself and the others who were at the camp that summer, and the outcome of his road trip home to Mississippi. I apologize for the vagueness of my review, but I’m trying not to spoil anything for potential readers. I’m not really sure who to recommend How to Survive a Summer to because of the autobiographical feel of the writing style and the past-to-present flow of the storyline will be a turn-off for many of those within my circle, but if these are not sticking points for you and the subject matter is one that interests you, I suggest downloading the sample and giving it a read because by the time you reach the end of it, you’ll know whether or not you want to continue on Will’s journey with him – I know I did. 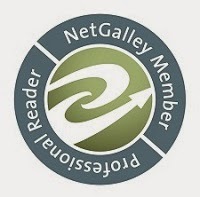 Reviewers on the Wicked Reads Review Team were provided a free copy of How to Survive a Summer by Nick White to read and review.